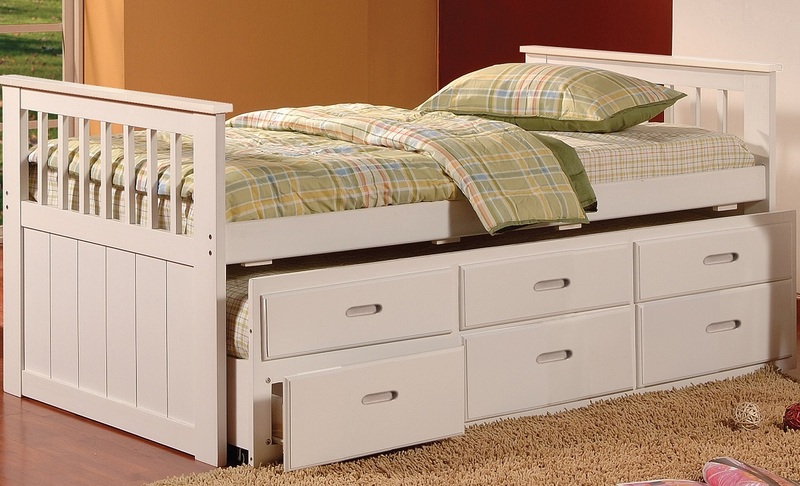 INT-IF314 Captain Bed is available in the following dimensions 77″L x 41″W x 36″H for $498.88. 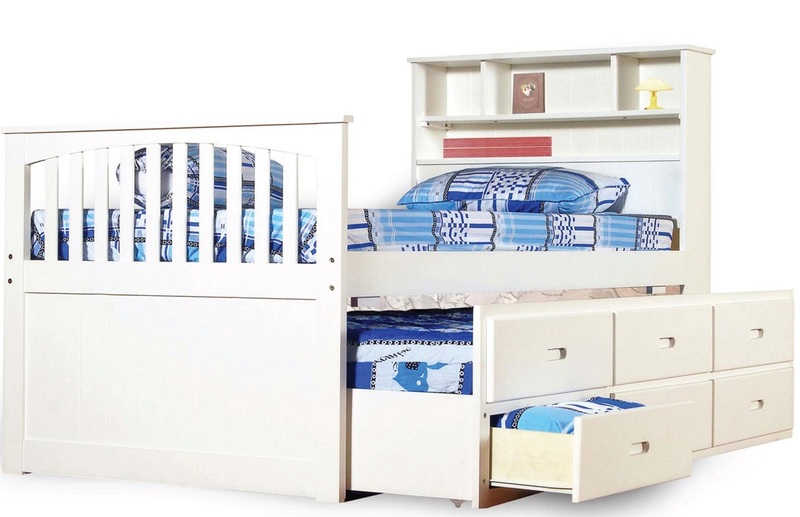 Available in a choice of 3 colors: White, Oak or Espresso. 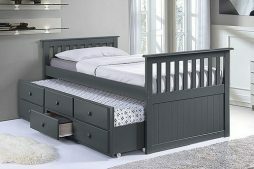 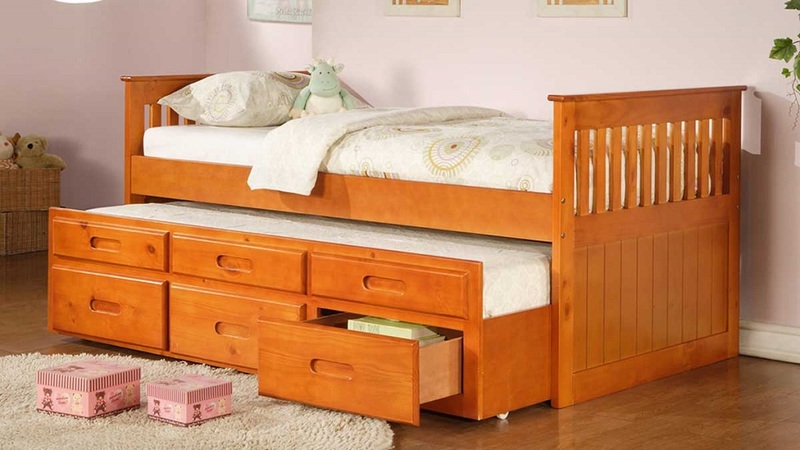 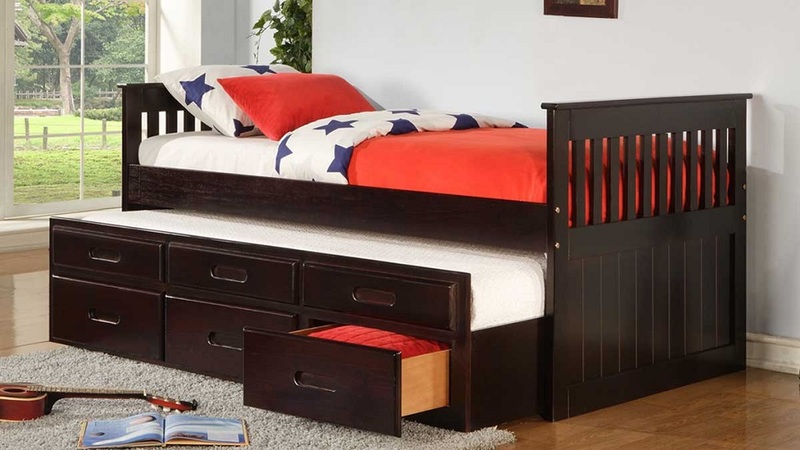 This bed comes with Pull-Out Single Trundle and 3 Pull-Out Storage Drawers.